Over the last decade, vinyl flooring has made enormous improvements and has evolved into one of our most popular floor coverings. It’s extremely durable yet flexible, and it comes in a wide range of types, sizes and finishes to create a stunning look for your home or office. It’s not just linoleum any more! Making the sale isn’t our end-game. We’re here to provide you not only with luxury vinyl that’s high in quality but suitable for you and your budget. 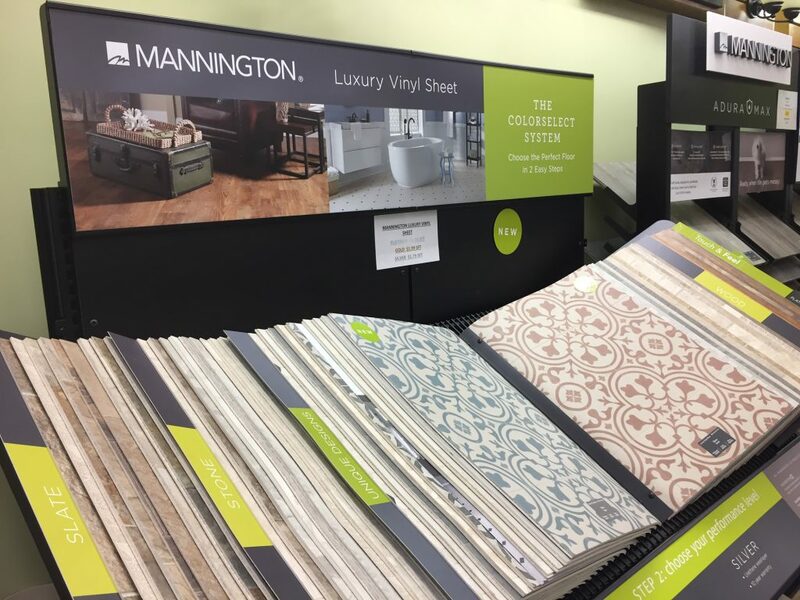 We combine our extensive knowledge with real-life experience and work directly with you to find the right product for your flooring budget, timeline, and taste. Come see how beautiful vinyl flooring can be! The wonderful thing about luxury vinyl is it’s scratchproof, waterproof, and easy to clean, making it ideal for families with pets and kids. It’s made to look like solid wood flooring, without the susceptibility to the wear & tear you can get with real hardwood. Plus it comes in a fun range of dimensions, thin to wide, square to rectangle. We understand the financial stress that comes with home-building and improvement. But you don’t have to settle for less! We’re here to show you the options you have that won’t break the bank. Vinyl sheet flooring curls easily and can’t be repaired when it tears. Today’s luxury vinyl sheet flooring doesn’t curl, can easily be repaired if torn. It’s waterproof and can be reused if glued back down if undesirable flooding occurs. It’s extremely comfortable and comes in an impressive variety of designs and patterns, including hardwood, stone, and slate. When you’ve got a team of design experts at your service without the additional cost, why consider going anywhere else? 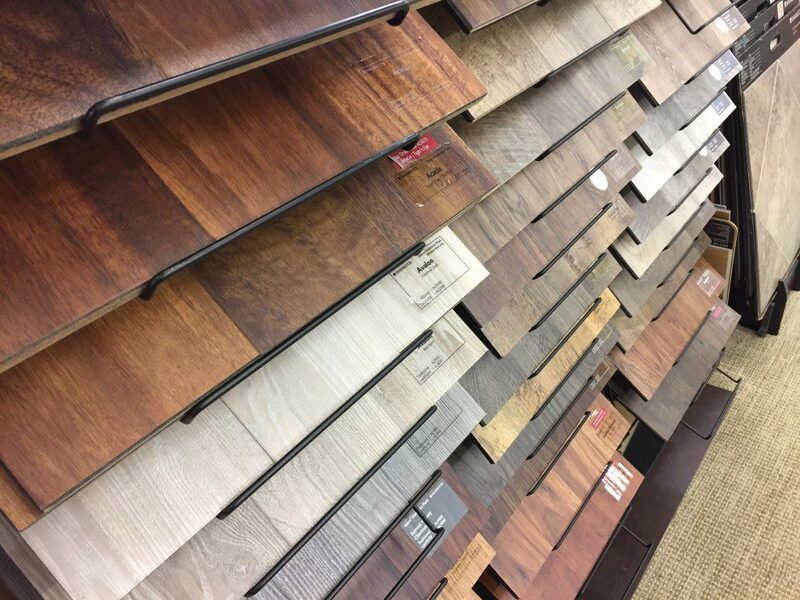 Our professional decor department is here to guide you through our selections as well as offer advice to help assure satisfaction with the flooring you choose. 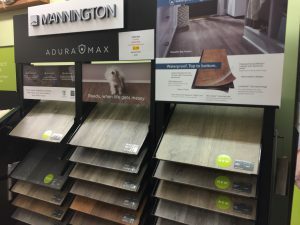 If you’d like to know how much your dream floor will cost, you can come in, with or without exact measurements, and we’ll get you a close estimate within minutes based on your selections. Different luxury vinyl flooring manufacturers offer different warranties. One of our experts can provide you with additional information as we guide you through your options.